Dahlias can be a nice annual addition into Ohio gardens. Although a perennial in its native range in Mexico and Central America, they are consider annuals in Ohio. With a little extra work the tubers can be lift in the fall, stored over the winter, and planted the following spring. 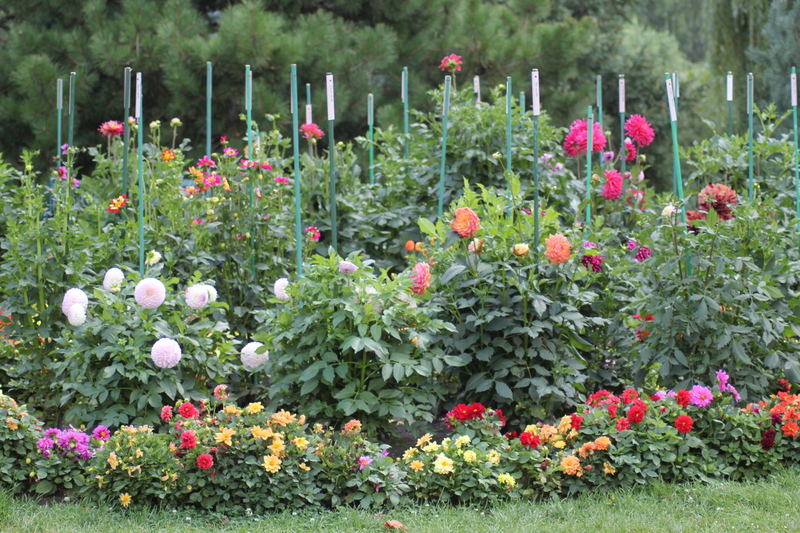 Dahlias come in a wide variety of flower shapes, sizes and colors. The plants are beginning to enter into their showy season where flowers bloom now into fall. Plants can grow from 12 inches to topping out at 6 feet. Taller plants will need to be staked. The variety of dahlias available can become almost addicting leaving gardeners wanting just one more. Each plant brings different attributes into the garden and can be part of a dahlia collection, or planted among other plants in the garden. With that many selections, there is something for everyone. Everyone that has sun, as the plants prefer lots of sun! Dahlias can make excellent cut flowers and will attract butterflies. Take time this season to check out dahlias in gardens near you and plan your additions for next season.